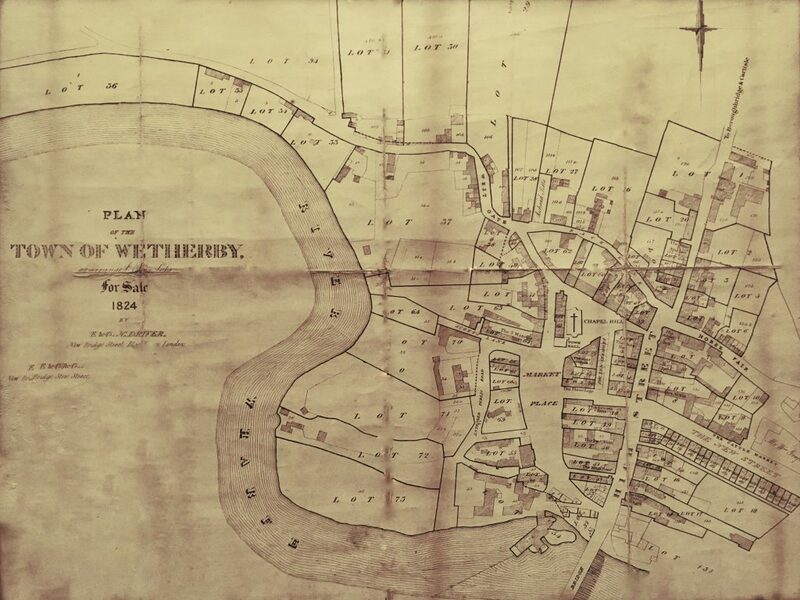 The Wetherby estate remained in the ownership of the Percy family until it was forfeited to the Crown in 1572 after the family’s involvement in the rising of the Northern Earls against Elizabeth I. In 1602 the estate passed into the ownership of the Earls and Dukes of Devonshire, who expanded their landholdings over the following centuries. 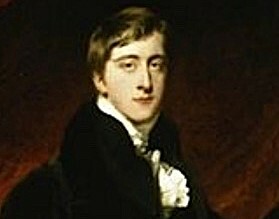 In 1811, William Cavendish succeeded his father to become the 6th Duke of Devonshire. He was known as the Bachelor Duke and was the son of the famous Georgiana, a Spencer ancestor of Diana Princess of Wales. 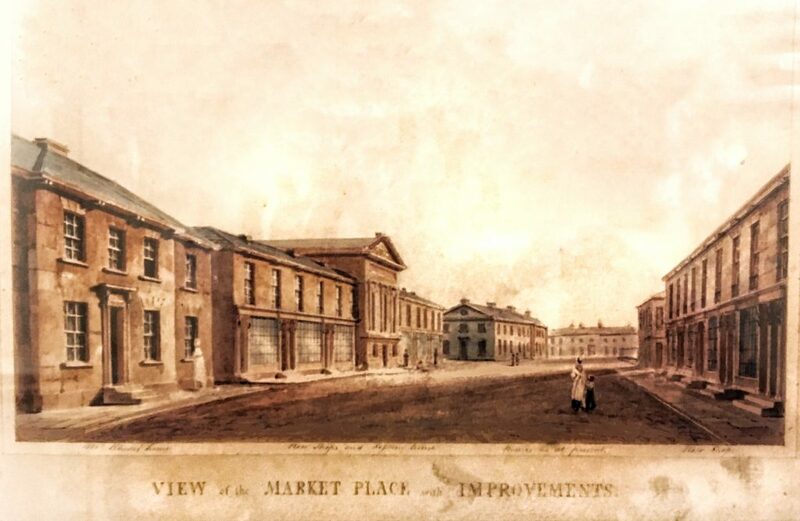 The 6th Duke had the York architect Peter Atkinson devise a development plan for Wetherby, some of which was implemented; including the development of New Street, which was later renamed Victoria Street and the The Devonshire Arms later to become the Brunswick Hotel. A copy of this plan can be seen hanging in the Town Hall. By 1824 the Duke had acquired every piece of land in the town with the exception of two properties, but there is no evidence of him having any personal involvement in the town. When the 6th Duke of Devonshire needed money, possibly to build the Chatsworth estate in Derbyshire, or possibly to settle his many gambling debts, he offered the town for sale to other local land-owners but found them to be generally disinterested. 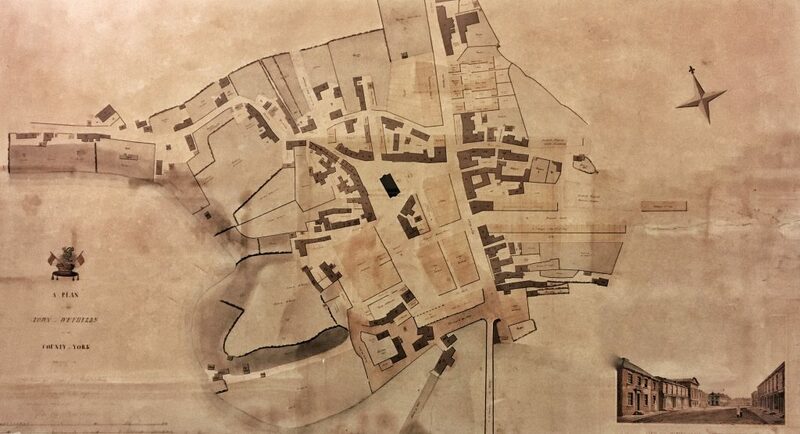 So he took the step of separating over 1,300 acres, the manoral rights, and more than 200 business and domestic properties, two posting houses, three inns and seven public houses into 170 auction lots to be sold in the old Town Hall over four days in October 1824. Description: The Crown Inn, in High Street, containing on the ground floor, two parlours, dining room, a back room, bar and scullery; cellar, four bedchambers and a small room. In the back yard in a brewhouse, store room, coal house, barn, cow house, pig cotes, a seven stall stable with granary over: another stable with a malt room over, and a box stable. These premises extend onto the market place. The sale eventually realized £100,000 more than an earlier offer from a local landowner, Mr Wilson of Grange Park, so it was a financially beneficial decision. Most of the residents of the town were tenants of the Duke, and therefore very concerned who their new landlord would be, and if in the position to do so buy the property they rented. During the auction many disputes about property fixtures and fittings arose and the Auctioneer, brought up especially from London, was highly commended for sorting them out amicably. R.W. Unwin, in his history of Wetherby, sites one particular incident worthy of being recounted by The York Herald newspaper a few days after the sale. Included in one lot was a garden. When the lot was announced, the tenant, James Horner, stood up and gave a passionate speech about how he had transformed the garden from an infertile bog, and had effectively purchased it himself over the years by the very sweat of his brow. The auctioneer asked for a bid. Horner suggested £400, no other bid was made and the auctioneer took the bid, speedily dropping the hammer before any other could be made to the great applause of all present. As a result of the auction the town significantly became a town of free-holders which accounts not only for the diversity of development, but also a shared responsibility by the townsfolk for the development of public facilities as it additionally increased the number of those with a right to vote. The number of owner-occupiers rose from nine to over forty as a result of the sale. Many old families ruined themselves by buying there holdings. They had been at cheap rents, and they bid against each other for the property, and borrowed money which they were never able to pay off, and the interest threw them into debt and beggary.